It sounds like the plot of a Hollywood science-fiction movie. An alien species is dying. Their only hope is for a brood of artificially fertilised eggs created from the preserved DNA of some of the last survivors to be brought back to life in a future world where (hopefully) conditions are better suited to them. Crazy? Not really: this is the only hope remaining for the northern white rhinoceros (Ceratotherium simum cottoni). The death of Nola, a 41-year-old female who had to be euthanised at San Diego Zoo following a routine operation to treat an abscess, leaves just three individuals remaining in the world. Two are infertile females, the solitary male has low fertility; all are elderly. After being decimated by poaching, the subspecies appears to have no chance of natural recovery. The three remaining rhino, Najin, Fatu, and Sudan, are living under 24-hour guard at Ol Pejeta Conservancy in Kenya, and are effectively "walking dead". 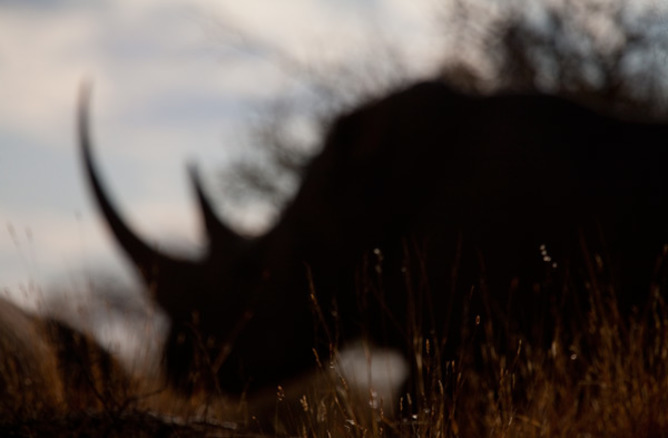 The only possible (and highly optimistic) route to non-extinction is for frozen eggs and sperm from these last rhino to be combined with DNA from the last few to die, and the resulting embryos implanted into surrogate mothers for gestation. These surrogates would be southern white rhinos (Ceratotherium simum simum), a closely-related and much more populous subspecies. Nola, who recently died following surgery to drain a hip abscess. The northern white rhino's precipitous decline is due to poaching. It was last sighted in the wild back in 2006 and drastic action, when it was taken, was too little, too late. In 2009, four of the dwindling captive population were moved to Kenya to encourage breeding. But the animals were too old, and all attempts at reproduction, including controversial inter-breeding with southern relatives, failed. Can we bring an (effectively) dead species back to life? Enter the Jurassic Park scenario. For those unfamiliar with the story, scientists facilitate the rebirth of extinct dinosaurs using DNA from long-dead animals in a process known as de-extinction. We know that it is possible: back in 1996 Dolly the sheep was produced using similar technology (gene insertion into an egg, and development in a surrogate mother). And, whenever a well-preserved woolly mammoth is found frozen in ice, we hear whispers of the potential to produce a living mammoth using its DNA. The technique works in cattle, sheep, and mice. However, we have not yet brought an extinct species back to life or even saved a nearly extinct species using such technology. Fortunately, San Diego Zoo had the foresight to collect samples in recent years via skin biopsy and post-mortem from 13 individual northern white rhino. In theory, their stem cells could be inserted into eggs and sperm from the remaining northern whites to maximise the genetic diversity of the "re-born" population. Frozen sperm from recently deceased male Angalifu is in storage at San Diego's Frozen Zoo, but sadly the project remains egg-less as Nola's eggs, harvested immediately upon her death, proved infertile. The situation is desperate as all three remaining northern white rhino have reproductive concerns. We're entering uncharted territory here. It may be possible to proceed with stem cell development via in-vitro fertilisation (IVF) and the implantation of eggs (embryo transfer) to surrogate southern white rhino, but it's never been done before and there's lots we still don't know about rhino reproduction. The uterus is deep within the body, for instance, and the zoo will need to develop special instruments to reach it. 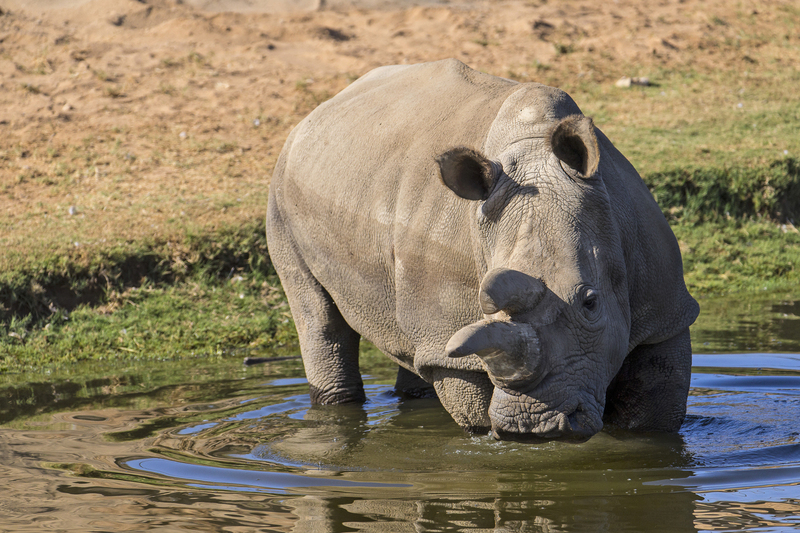 What does the future hold for the white rhino? Researchers are currently looking to raise £500,000 (US$750,000) via GoFundMe campaign Make a Rhino, Save a Species, and scientists and conservationists associated with the project estimate that they may produce a calf in eight years time. By that time, the remaining three northern white rhino will likely be dead, and the subspecies formally extinct. But a question remains. Even if it is possible to bring back the northern white rhino, from a founder population of 13 or so individuals, will the resurrected population be genetically viable? And how will we save them post-resurrection when we failed with our best chance pre-extinction? Some would argue that, as a subspecies, the northern white rhino is of limited importance. After all, the southern whites are still going, with fears over their long-term future countered by hope in more likely technology, and they could be moved northwards to fill the same ecological role. However, any adaptive (genetic) differences unique to the northern white rhino are currently lost to the species as a whole. If we accept that conservation resources are limited, should we not be prioritising species that we are more likely to save, such as Africa's remaining southern white and black rhino, or the various endangered Asian species, rather than trying to resurrect a subspecies that is already functionally extinct?